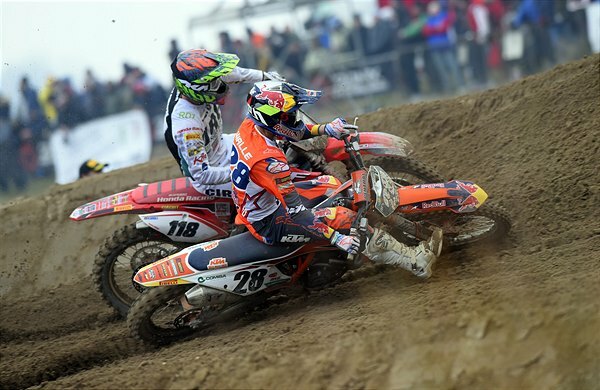 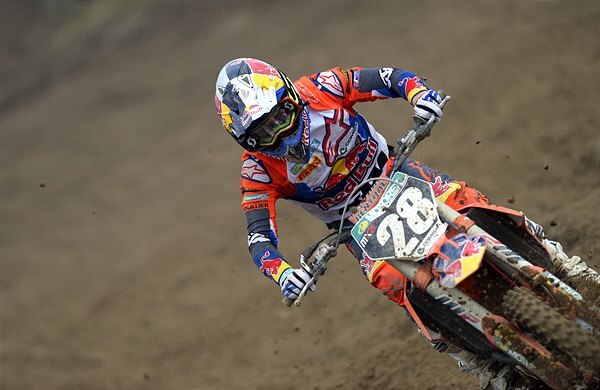 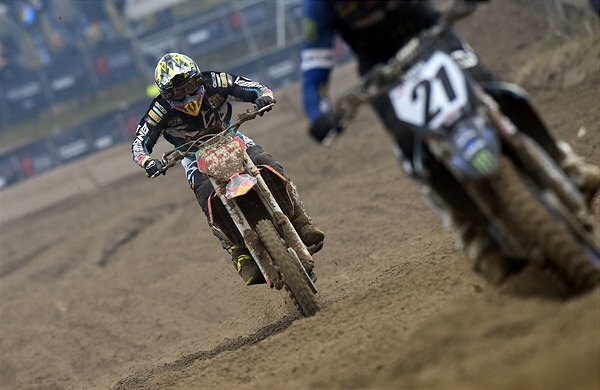 Grand Prix venue ‘Mantova’ was the site for the third and final outing in the Internazionali D’Italia and third racing fixture for Cairoli, Prado and a large body of the Red Bull KTM Factory Racing Team in successive weeks. 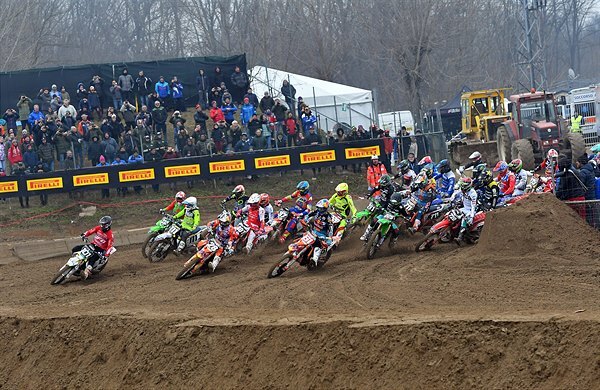 Chilly conditions graced the flat, compact and sandy course a short distance north of Bologna. 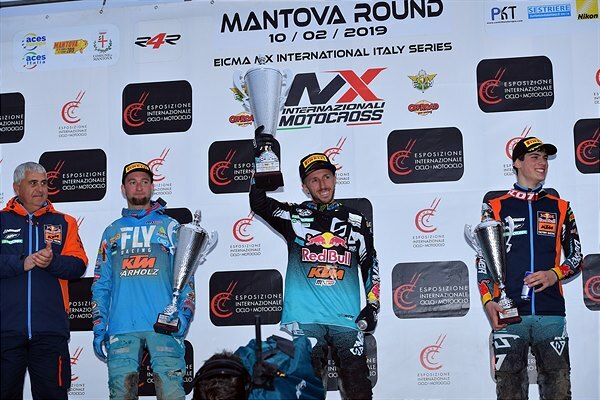 Cairoli, who won the first Grand Prix of ‘Lombardia’ at Mantova in 2010, and had mathematically earned his eleventh senior Italian title (MX1 & Supercampione) last week at Ottobiano, rode to a solid 3rd position (just ahead of Gautier Paulin) in MX1. 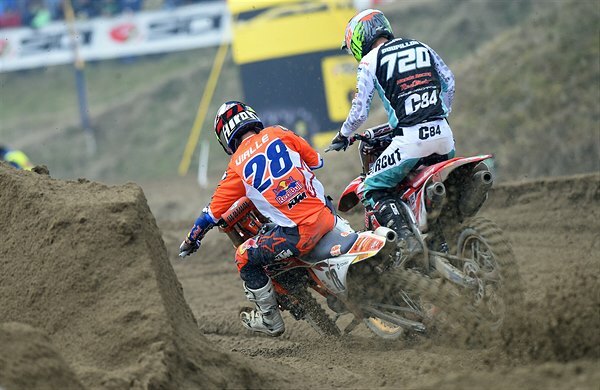 #222 boasts a strong 1-1-3 scorecard from his domestic efforts in the contest. 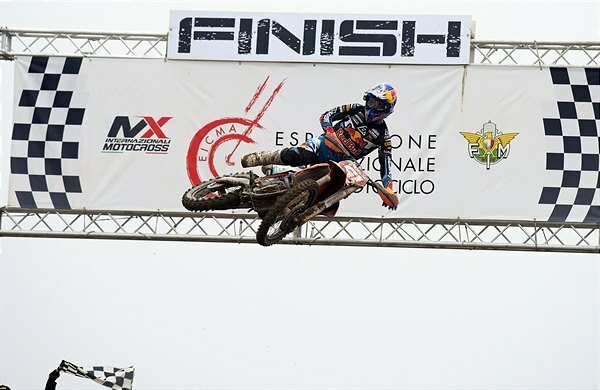 He was back to front-running service in the ‘Supercampione’ moto and ended the Italian campaign with victory. 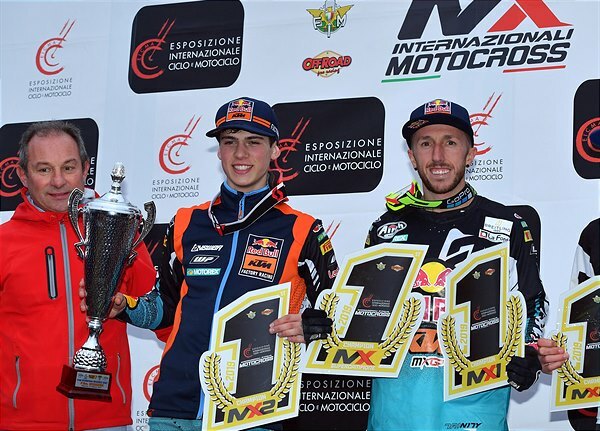 MX2 World Champion Prado not only remained unbeaten in the MX2 class but has also notched three podium finishes in the ‘Supercampione’ race against the bigger 450cc motorcycles. 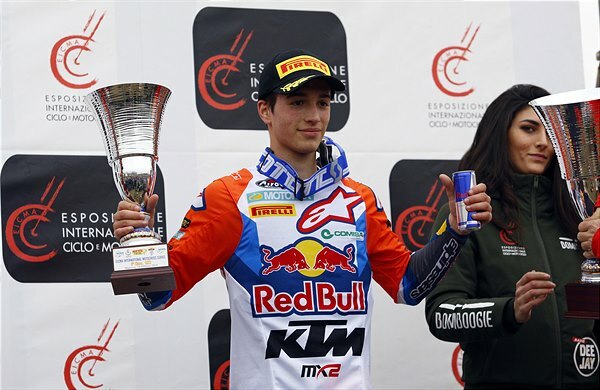 The Spaniard was 1-3 for the day and comfortably owned the MX2 division by almost twenty seconds from the next nearest rider. 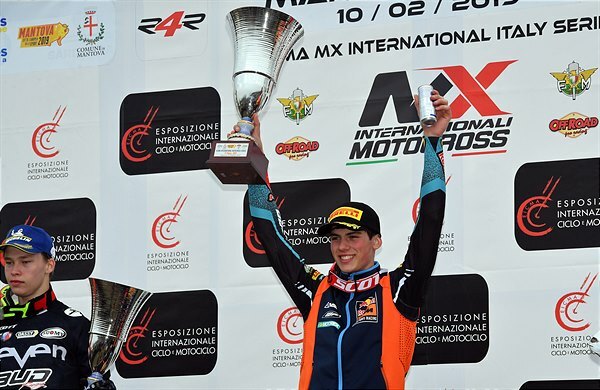 Mantova was also notable for the first competitive outing for new Red Bull KTM MX2 rider Tom Vialle. 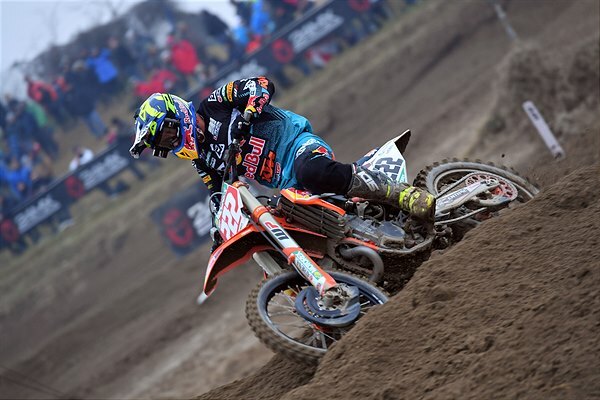 The French youngster took his factory KTM 250 SX-F to 3rd spot in MX2 and impressed again in the ‘Supercampione’ with a top six classification. 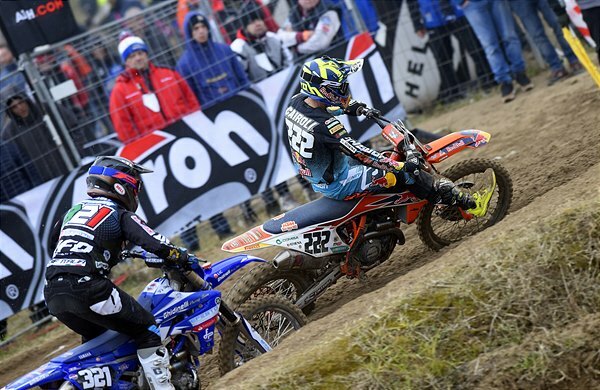 KTM were also pleased to see Austrian Rene Hofer back in action again and racing his 250 SX-F to the top fifteen in MX2 as the youngster continues his comeback from injury and in preparation for the 2019 EMX250 European Championship.